Troy Hamilton a.k.a. 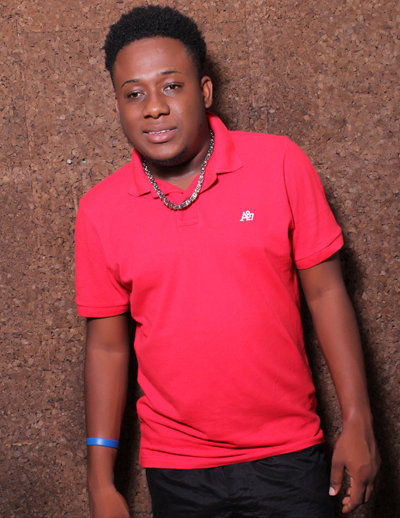 DJ Flare was born on September 23,1992, grew up at 43 West Street, Port Antonio, Jamaica. With his father being a selector on the popular sound system of the 80s known as Taurus Hi-Power, DJ Flare gravitated to music very early as a youth. So, while attending Titchfield High School, he studied the Arts, but a career in music had always been the focus, and making beats on the desktop with his friends and busting a few rhymes was his pastime hobby. As a curious youngster, meddling around sound systems was no joke for DJ Flare and learning to spin records; likewise it was no joke for sound system owners when DJ Flare broke the turntable needles, which was quite frequent. He would normally save his lunch money to buy music and build his collection, and this was heavily influenced by his friend DJ Mookie. After leaving high school, DJ Flare started playing at a number of small local gigs, until his popularity grew into him becoming an early juggler at bigger events headlined by renowned disc jockeys. This gave rise to his street celebrity status and to him performing at events in other communities outside of Portland. In 2014, he was invited by DJ Prestige from Stylz FM to be a guest DJ on his Tuesday night show called Smoozic. This was dream becoming reality for the young Flare, and he grasped the opportunity with pride, which lead him to being contacted by Stylz FM’s CEO to be a fill-in DJ for the programme “Crossover Mondays”; and the rest is history. DJ Flare is now a resident DJ of Stylz FM, and you can listen to him each Monday 5:00 to 9:00 pm on “Crossover Mondays”. He’s also a permanent fixture on Stylz FM’s “Bar Round Up” winter series of events, and still fill-in while his DJ colleagues are on break.